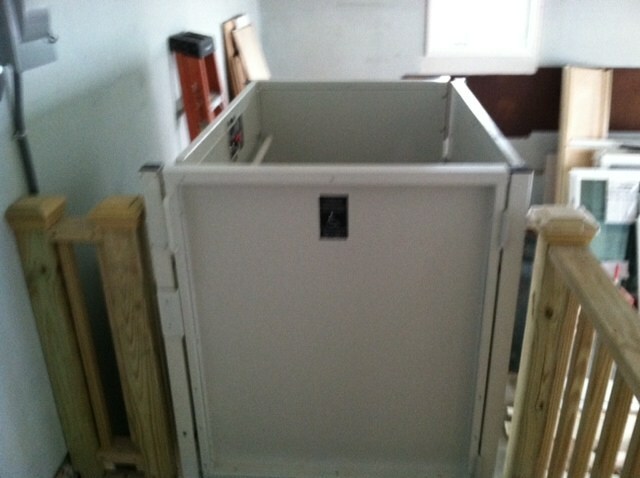 This is a residential vertical handicap wheelchair lift that is located in Harrison, NY.It’s installed in a garage. Beautiful installation. Lift goes from the Garage Level to the 2nd level, allowing the user to safely get off on to a desk.